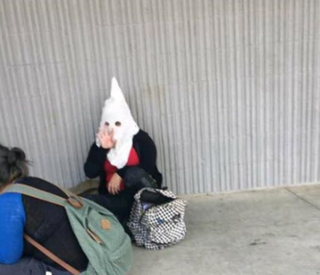 A California schoolgirl was disciplined after sparking controversy at Kern High School in the city of Bakersfield for wearing a Ku Klux Klan-style hood at school last week. The Kern High School District quickly investigated the incident and said that it was appropriately dealt with. According to KERO, at least one student was suspended in connection with the incident.